Sylvia Namutebi's husband, Major Mohammed Kiggundu, was shot in November last year. In November 2015, they held the moslem wedding ceremony and in November 2016, he was shot at. 40 days later, she hooked another Hajj Kiyimba something that left many in shock. The traditional healer who has bailed out many financially came out to defend her actions claiming that the religion allows it. 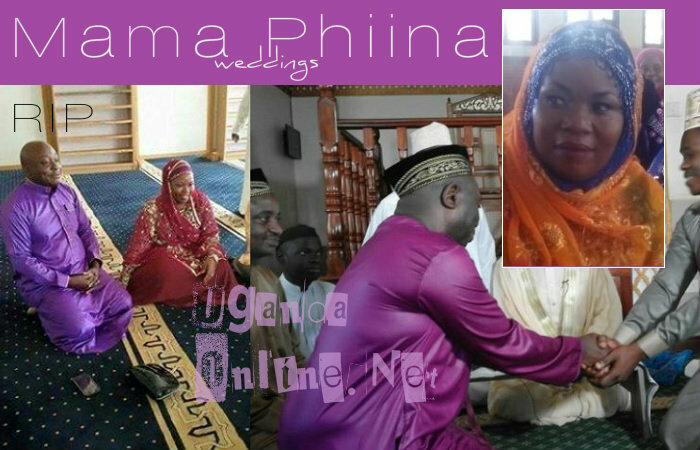 Hajj Kiyimba fell short of some qualities and within months or weeks, he's been replaced with Hajj Ismail Segujja and it's not even November yet, the nikah ceremony was held yesterday. She was given pounds 4,000 in cash as dowry. 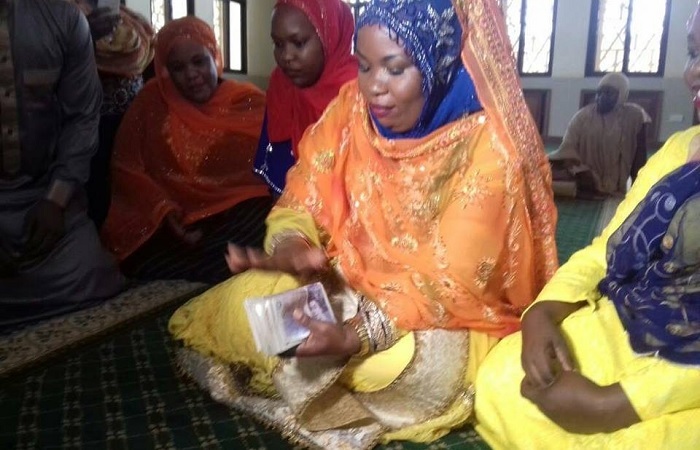 The ceremony was presided over by Sheikh Umar Ndaula who told the herbalist that to enjoy her marriage, she needs to give up the herbalist role. "I'm not really that old not to get someone and besides, the religion allows it. If you can handle and lots of applications are being sent through, you just have to let the good guy have your cookie, every woman needs a man figure in their lives," She added. The real wedding will be in January so to all the big artists that wanted to perform, it will be then that they can perform. They then went to a hotel where they treated their guests to lots of drinks and eats. She danced to Eddie Yawe's Tukigale song pulling out her best dance strokes, though her weight could not permit certain moves. Mama Phiina has three children from her previous relationships. In total, she has had about 5 men now.